Want to make your presentation shine? Wondering how to take your event to the next level? I’ve worked on hundreds of events from fundraiser film nights to conventions with over 3,000 attendees, and I’ve personally coached over 300 speakers on crafting their presentations. Let me assist you. “The fact that Erica creates and organizes the best of the best world-class events is well-established. What she does for us as speakers, however, is life-changing. Working with Erica on any speaking event means she will take you under her wing and provide you with advice, guidance, encouragement, and empathetically-delivered constructive feedback. She is the perfect coach and mentor to have in your corner. Partner at Kick Point Inc.
“As a global marketing speaker, I’ve presented at many different events. 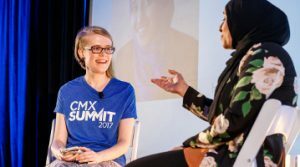 But the best event by far has been MozCon — the one that Erica herself spent years organizing, building, and promoting. As a speaker, I saw how she works closely with everyone to make sure that their topics, subject matter, decks, and delivery are top-notch. She makes sure that everyone does their very best. So, it helps not only the speakers but also the conference as a whole. 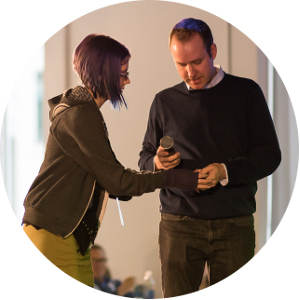 As an attendee, I was always amazed at the level of both fun and professionalism of Erica’s MozCon. On the professional level, she made sure that every single presentation would interest the audience. On the fun level, she made sure that everyone would have a fun time and would be able to network at the same time. Every single detail was planned out meticulously for maximum affect. In another important area, Erica made sure that both men and women were represented on stage in equal numbers. The issue of equality and fairness in the tech and marketing worlds is finally being addressed, and Erica is at the forefront of that movement on many levels.